While he might not be quite ready to take on the world as the WSOP, Cristiano Ronaldo is gradually ingratiating himself into the community and honing his craft. After signing with PokerStars earlier this year, Ronaldo has kept something of a low profile on the online poker scene. Aside from a cameo in Vegas a few days ago when he returned a lost phone to a Sin City reveller, Ronaldo hasn't really put his skills to the test. However, all that changed last night when he anted up in Melbourne's famous Crown Casino. Sitting down alongside a slew of local grinders, the £400,000-a-week footballer appeared to be enjoying himself as he swapped bets and stories with those in attendance. Officially, Ronaldo is in Melbourne to take part in the International Champions Cup, but before he got down to business he took some time to experience the rush of high stakes poker in the Crown's nosebleed room. Although the Real Madrid star didn't reveal the stakes or, indeed, whether he won any money in the game, he did share a picture of himself via Instagram and captioned it "first night with new chips." 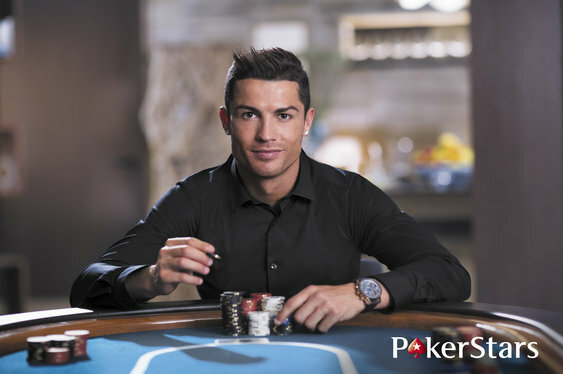 With PokerStars ready to start pushing Ronaldo a lot more in the coming months, it's likely we'll see a lot more of him at the poker table in the coming months.